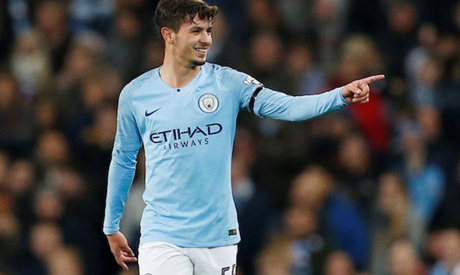 Manchester City manager Pep Guardiola believes Brahim Diaz's departure for Real Madrid is a sign of good work being done by the club's academy despite the loss of another bright prospect. City had attempted to persuade the 19-year-old Spaniard to extend his contract with the club but admitted defeat and sold him to the Spanish giants in a deal that could rise to £22 million ($28 million). The midfielder was officially unveiled at Real's Santiago Bernabeu stadium on Monday. Asked if he was disappointed to lose Diaz, Guardiola said on Tuesday: "No. I said many times, we did with Brahim the same we did with Phil (Foden) and Jadon (Sancho), we did absolutely everything but in the end the only one who decides to stay is Phil so that's all." But 18-year-old Foden signed a new six-year contract last month. "We wish him (Diaz) all the best," Guardiola said on Tuesday. "Of course going to Real Madrid is not a bad step and hopefully he can get the minutes he didn't get in the last period for many reasons. Nice guy. Wednesday's League Cup semi-final first leg against League One side Burton is the sort of match in which Diaz might have expected to make one of his rare first-team appearances, and Guardiola admitted it was too soon to say if his team could be short-handed if they continue to progress in several competitions. "Hopefully not," he told reporters at his pre-match press conference. "With four competitions still, everybody will play, everybody will be involved. We have games every three or four days. We need everybody." The League Cup was the first trophy Guardiola lifted in England but he admitted it is low in his priorities. "Winning is important, we cannot deny it. We are here in the semi-finals and it's one step to go back to Wembley, that's why we take it seriously in that game once we are here," he said. Guardiola rejected claims he had ordered the grass to be grown longer at the Etihad Stadium ahead of last week's 2-1 win over Liverpool, which reignited the Premier League title race. "I am not the groundskeeper," he said. "I never did. If they want to play quick, we want to play quicker. Always we try to put water (on the pitch) but it's not necessary here with the weather. We want to cut the field always. "It's better conditions for both teams. When this happens, you do the best for your opponents. We have to respect them with the rules. "I never speak with the groundsmen... I trust the groundsmen. I never made a phone call to say 'do this to damage our opponents'."